Looking for an affordable way to extend your living space and enjoy the beauty of everything outdoors? 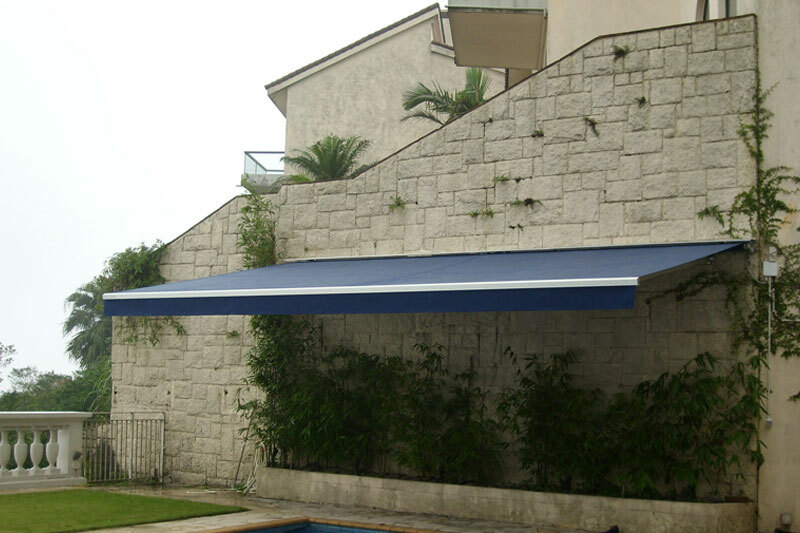 Try Malibu Shade Awnings. These structures are lightweight, easy to maintain, and very affordable alternatives to permanent roof extensions. The PR230 is a cartridge marquee. This means that the fabric is rolled up in an aluminum cartridge so that it is additionally protected against dirt and foul weather. 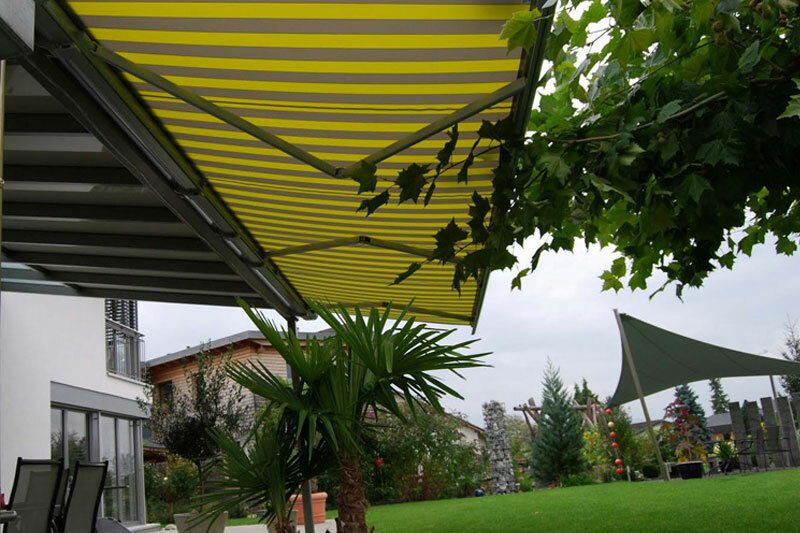 What is more: the fabric is also protected and supported by a special profile that is covered on the inside with a synthetic anti-wear profile for better guidance and longer life of the awning fabric. A plastic sliding strip in the cap profile prevents marks on the fabric. The fabric of the PR220 is protected at the top by an elegant cap. This profile can be easily and quickly mounted on the cap support with a handy click system. Along the bottom, the compartment is open and the fabric can get some air. The solid corner adjustment guarantees continuous adjustment of the angle of the screen. 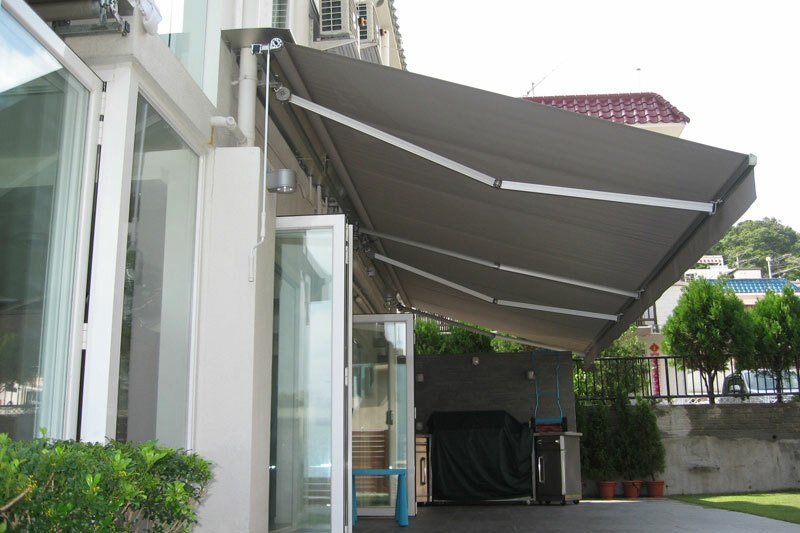 This drop-arm awning without a cap profile is the ideal awning under a balcony or the eaves; additional protection of the fabric is not necessary. 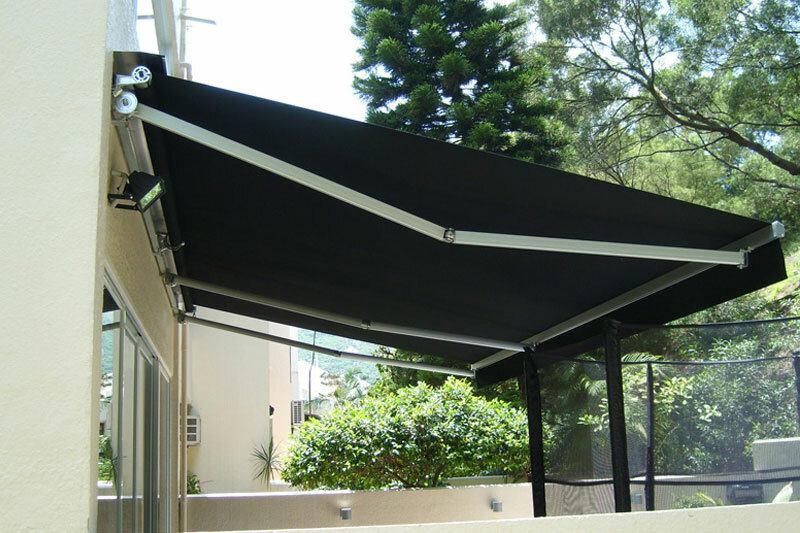 These folding arm awnings can be cleverly folded away into a cassette when not in use using either an electric remote or just a good old crank handle. It has a width of 7 meters and projection that is extendable up to 3.5 meters, so it is perfect for any residential and even commercial requirement. If you have glass roofs that you want to cover during summer, you will need our motorised retractable conservatory awnings line. Use it during hot days, and retract it neatly into its cassette to let sunshine in when you want to. The conservatory awning uses only the best lightweight aluminium frames and waterproof fabrics to guarantee years of useful life. 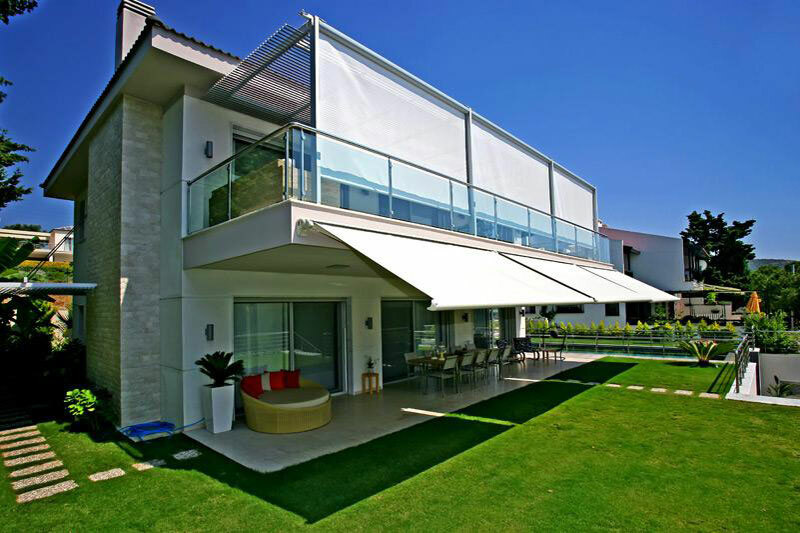 Fully-retractable Malibu Shade Window Awnings are perfect for protecting your windows against the heat of the sun. With a maximum width of 5 meters with a maximum arm length of 2 meters, it fits absolutely all kinds of windows. 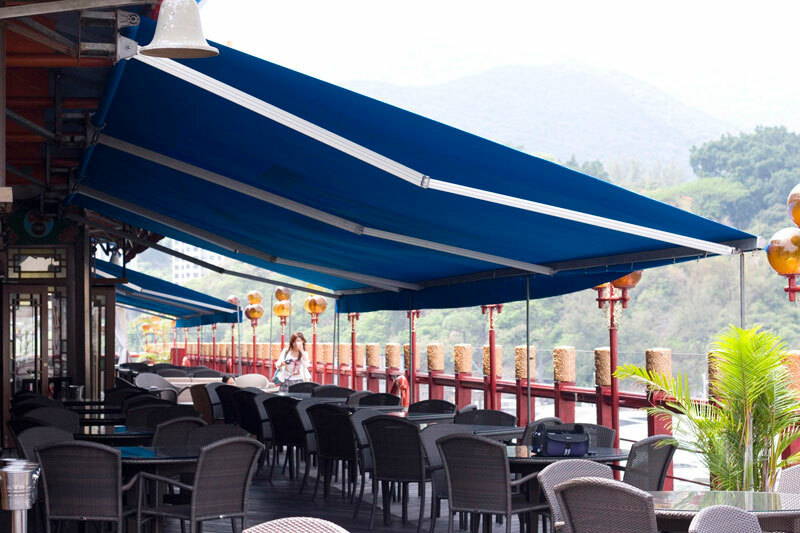 It is made of extruded aluminum with cast alloy fittings for maximum durability. We also carry clear plastic dropsides and straight drops, which you can install underneath awnings to allow you to close up an outdoor area when it rains. 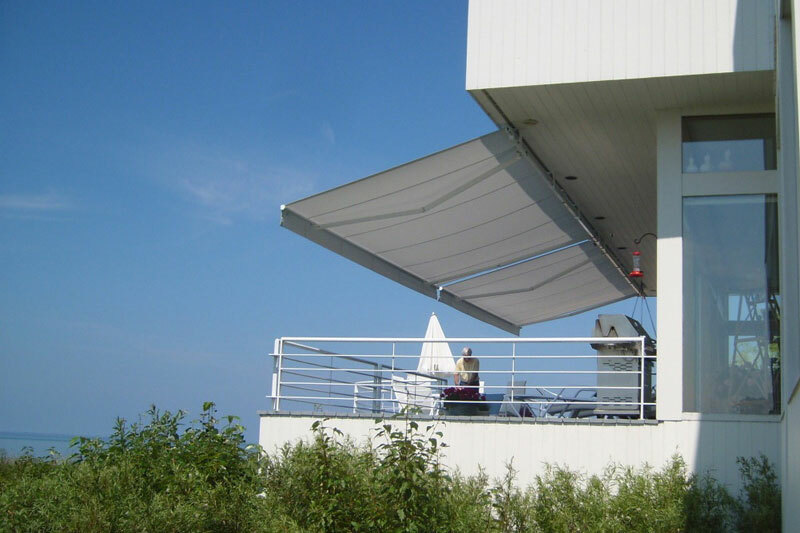 Both of these Malibu Shade awning accessories are extremely durable. The straight drops are motorized, while the clear plastic dropsides have optional rope and pulley systems. 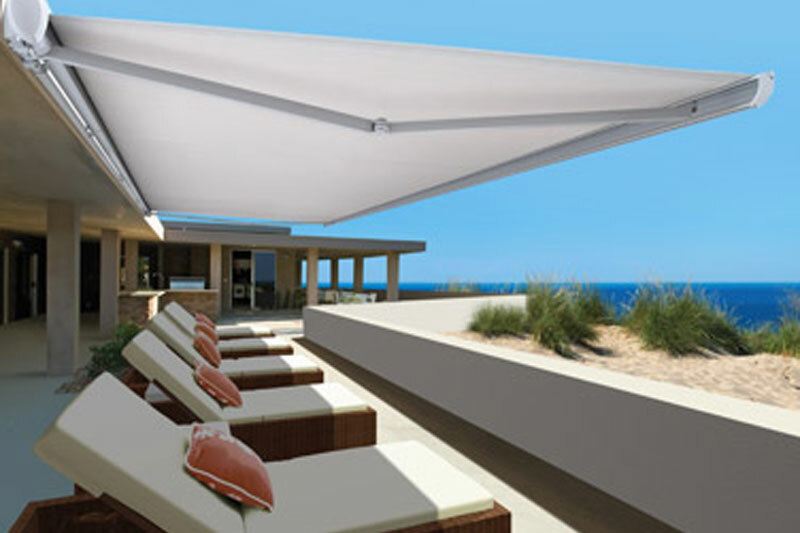 We at Malibu Shade can install custom-made awnings to shade all or part of your deck or patio. 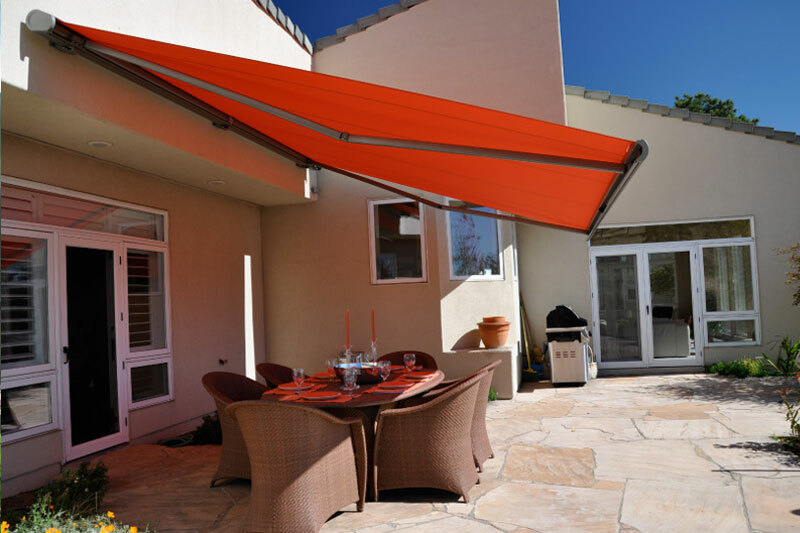 Most of our awnings do not require pitches and come with state-of-the art wind-release features that make them even more stable. They come in a wide range of decorator acrylic fabrics (from stripes and solid colors), so you will surely find one to complement the theme of your home. Best of all, the fabrics provide UV protection. They do not just block out heat – they block out harmful rays as well.